Happy Friday friends! What do you have planned this weekend? We’re heading home tomorrow from our week-long road trip (which has been nothing short of amazing), but before we do, we have one more night to camp along the central coast (campsite TBD). Very exciting stuff for my nature loving husband. 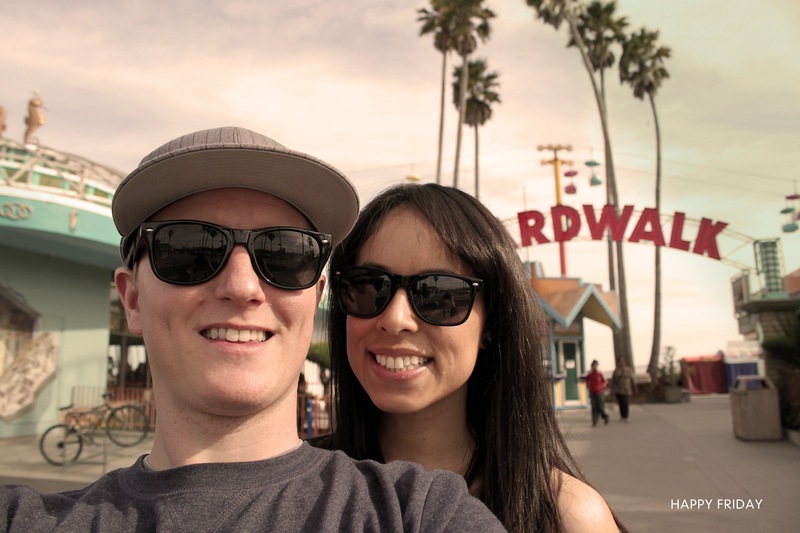 Above is a picture of Evan and me at the Santa Cruz Boardwalk on what seemed to be the most beautiful day of the year so far. Have an adventurous weekend! xoxo! i love santa cruz boardwalk! that’s where i first tried fried twinkies. Lol.